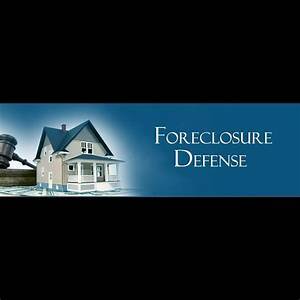 It’s well known that Florida foreclosure attorneys vary in experience and results. Some do loan mods, some don’t. Some do short sales, some don’t. Some file bankruptcies, some don’t. Some do appeals, some don’t. Mark was a very strong litigator who won many foreclosure dismissals and appeals. That seems to be a universal opinion shared by many who saw him in action in the courtroom. That was always what he was best known for as a practicing attorney – I have no comment on any of the TBO allegations out there as I do not know the whole story and it is not my place. We’ve always taken what I call a holistic approach. While we can try for a dismissal and we’ve had many dismissals over the years, we are really looking for a complete and final resolution for the client. A dismissal means the bank/lender will just keep coming back and file yet another foreclosure. Some clients want that – they just need time in the house without a mortgage payment while they get back on their feet. Some have saved some funds to apply to a down payment for another home that is not underwater. Some try for a free house, which very rarely happens. But many of our clients want to move on, they need some time to come to that decision, which occurs during the foreclosure defense case, but ultimately, they may seek a deficiency waiver, cash for keys and an extended move out date. We negotiate that. Others want to keep the house through a loan modification. We’ve done plenty of those. If a loan mod is denied, another way to keep the house is to file an adequate protection plan in a Chapter 13. We do those also. We also file Chapter 7 bankruptcies for clients who want to surrender the home and discharge all liability – if the lender won’t otherwise agree. We do those too. Still others want minimum impact to their credit as in a short sale with a deficiency waiver. No surprise here, we do that also. Bottom line, decisions as to what to do with a house should be well considered with an experienced attorney who can offer any and all of these solutions and help a family decide what option is best for them. Due to Mark Stopa’s office closing, many of his former clients are evaluating where they stand and what they want to do with the house and mortgage. The Bar has solicited us and other foreclosure attorneys to act as Inventory Attorneys to help ensure that clients have the advice and files they need to move forward. Some of these homeowners are deciding for the first time what kind of result they want in the end. We are available for representation if any former client needs to hire a new attorney to proceed with their foreclosure case.